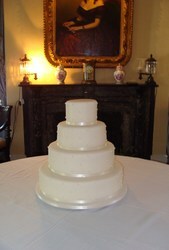 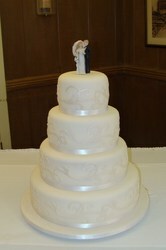 Here are some of the wedding cakes created at The Bakery Cottage. 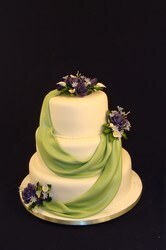 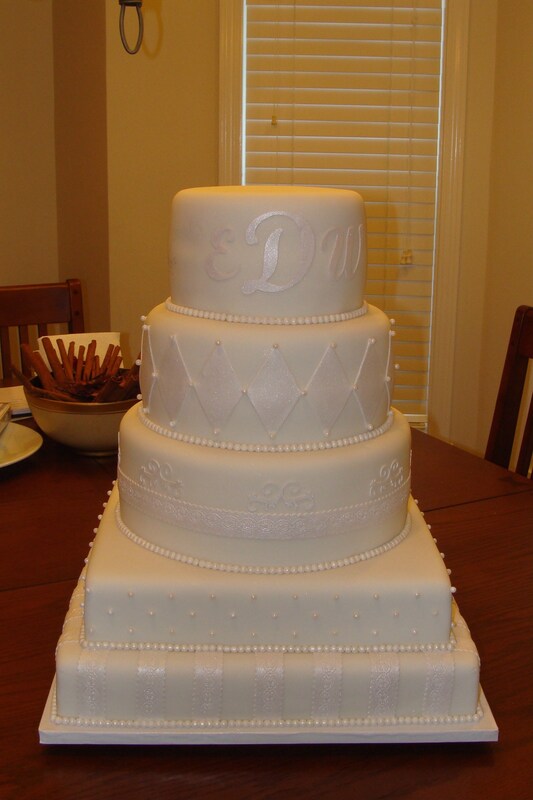 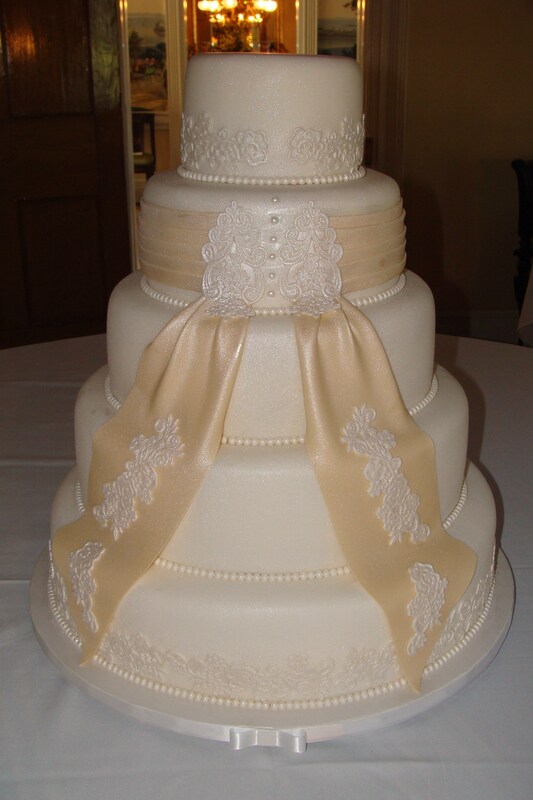 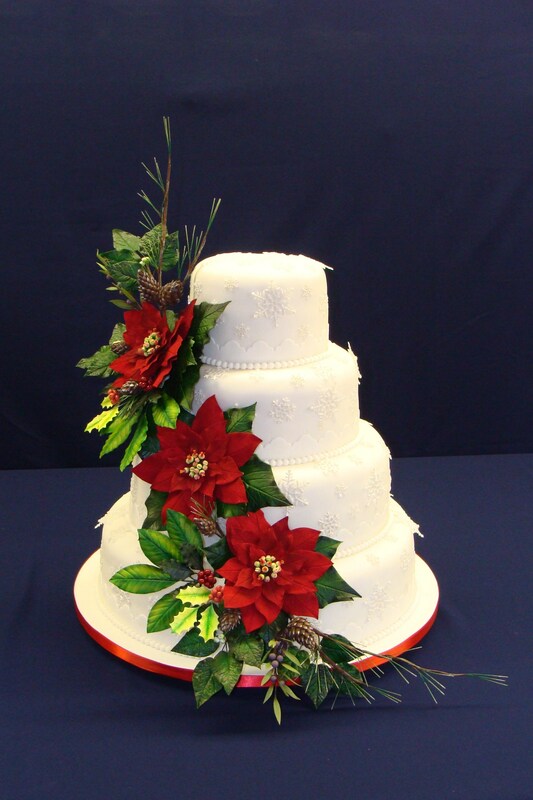 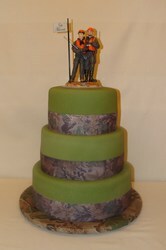 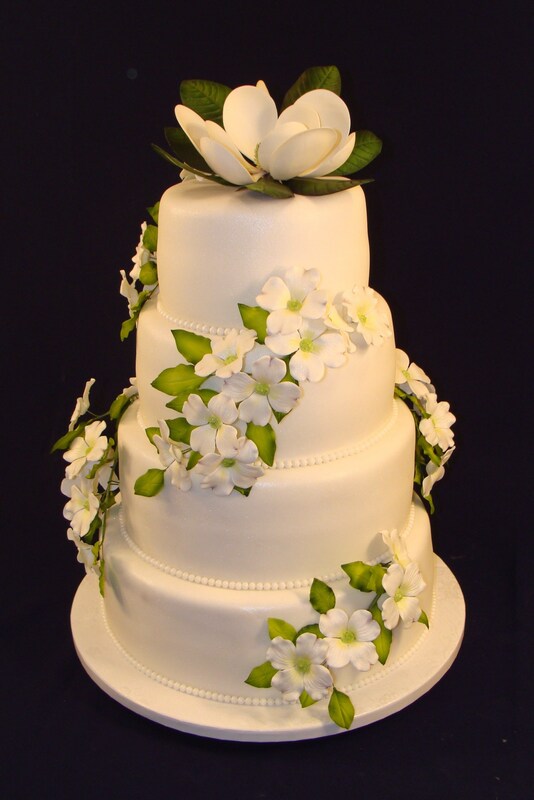 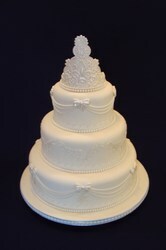 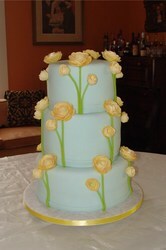 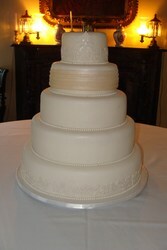 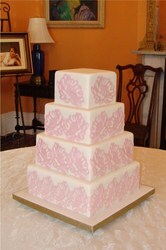 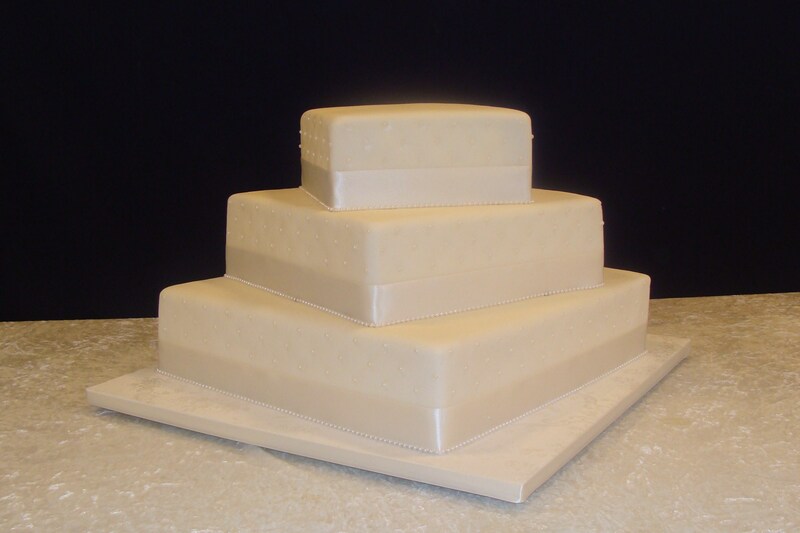 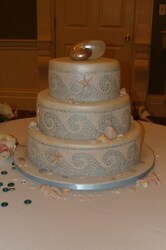 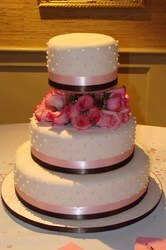 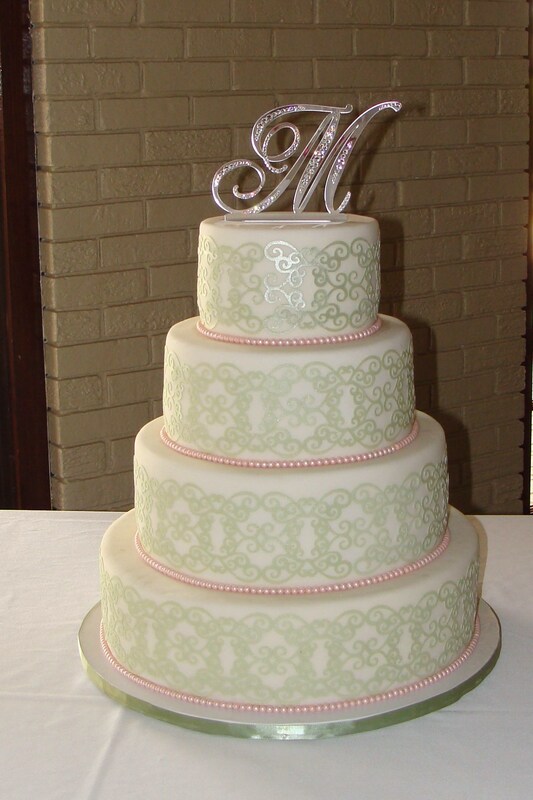 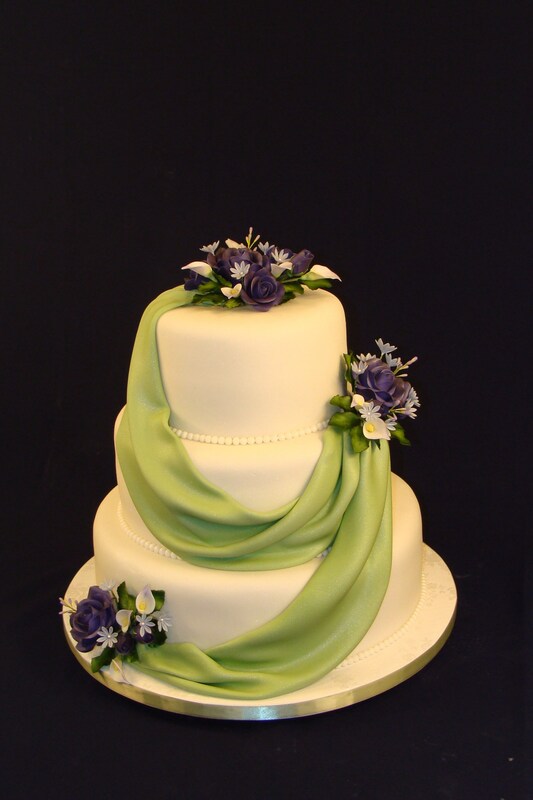 The cakes are covered in fondant which gives the cake a beautiful smooth finish. 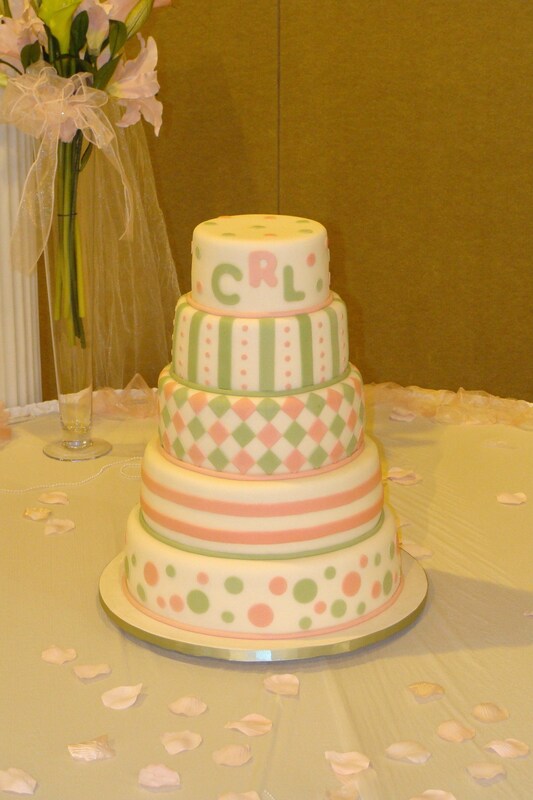 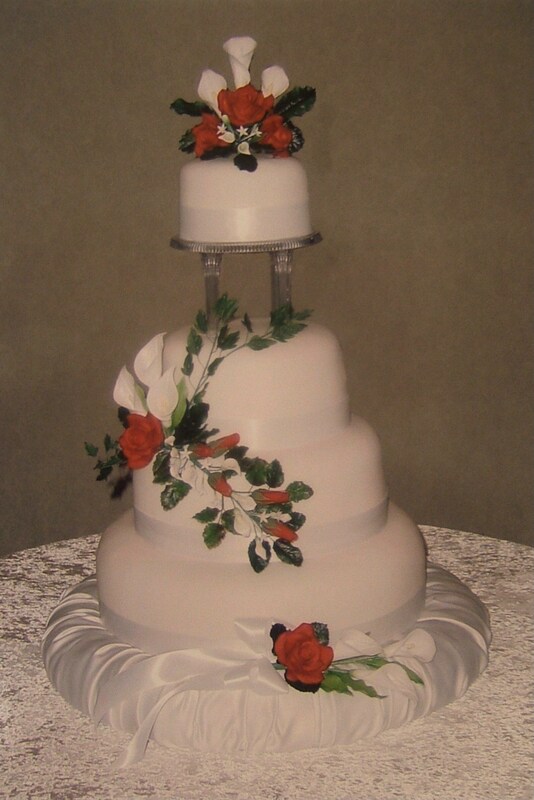 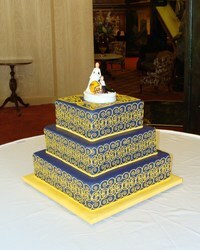 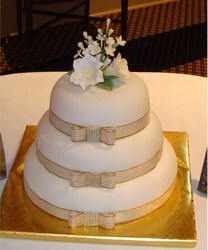 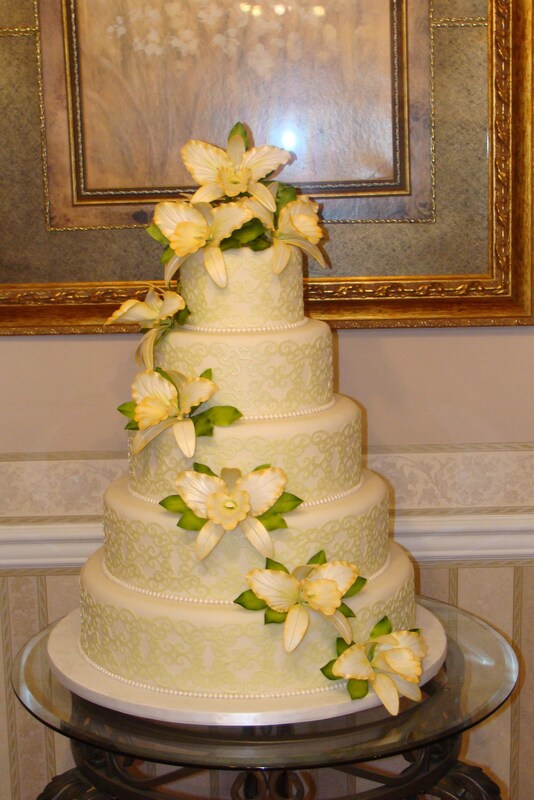 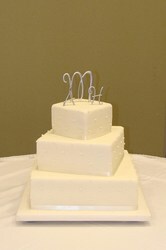 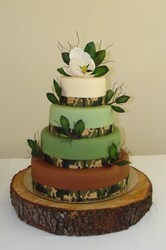 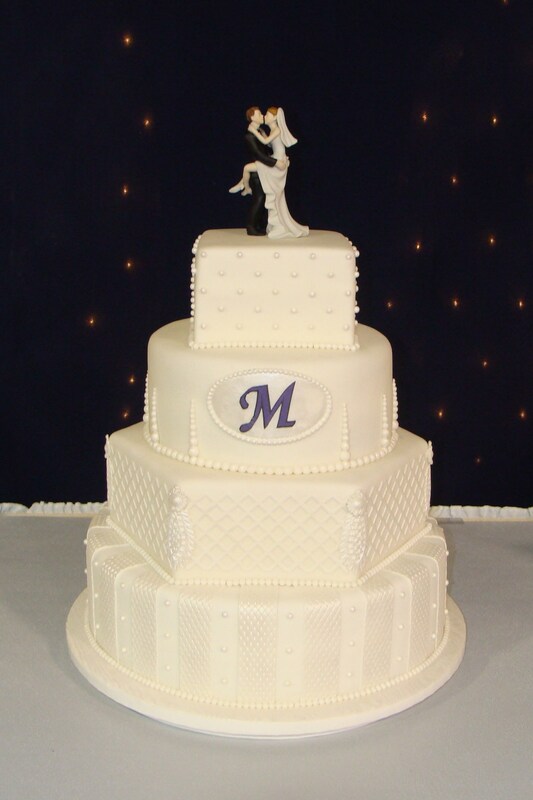 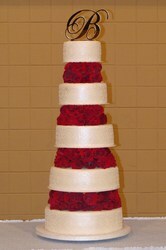 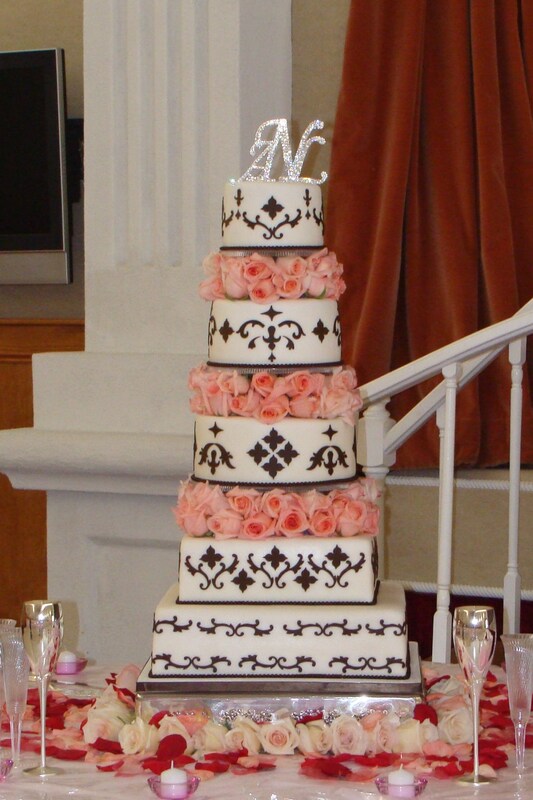 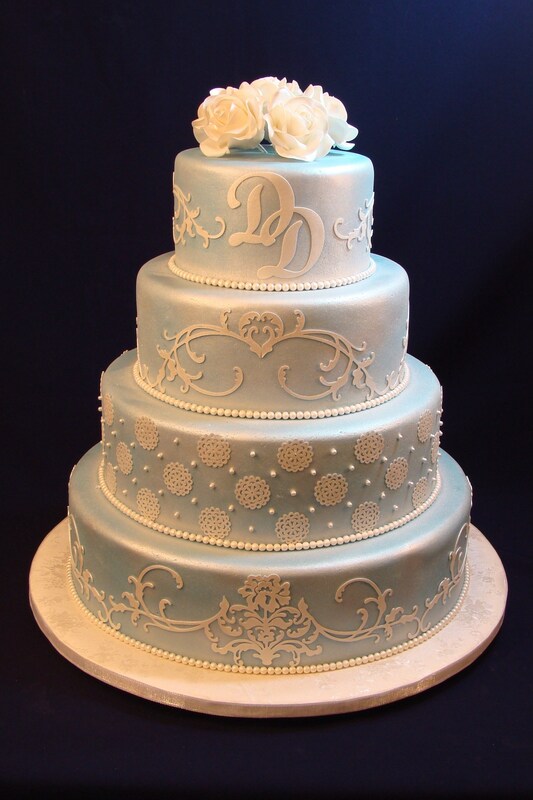 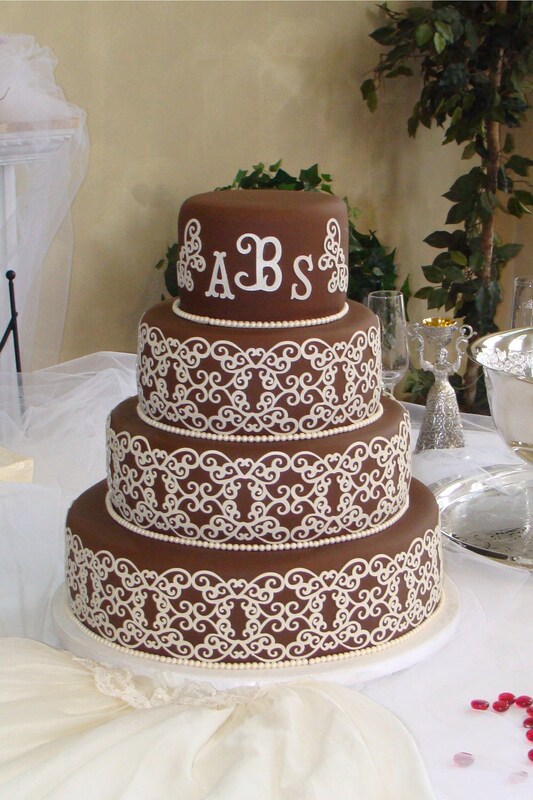 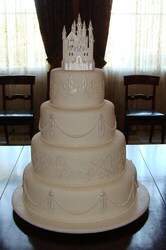 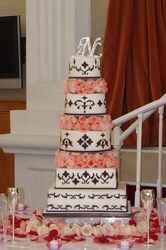 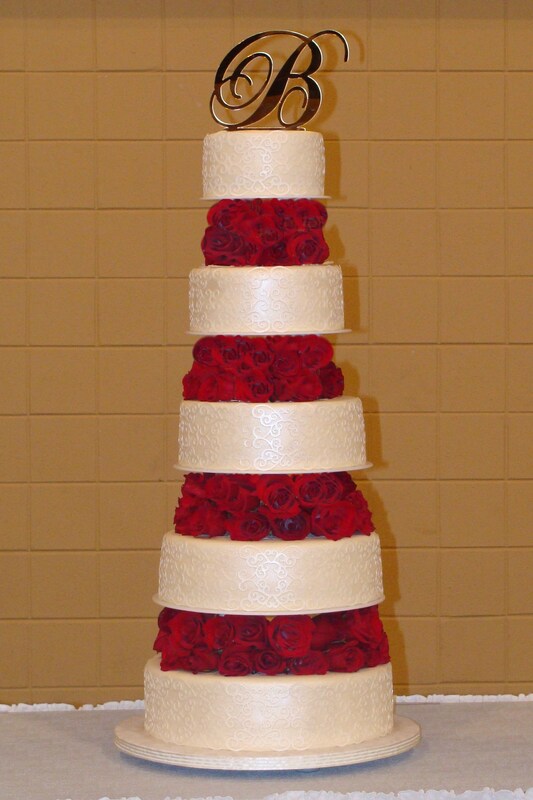 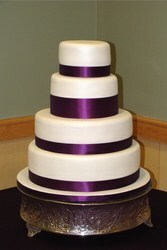 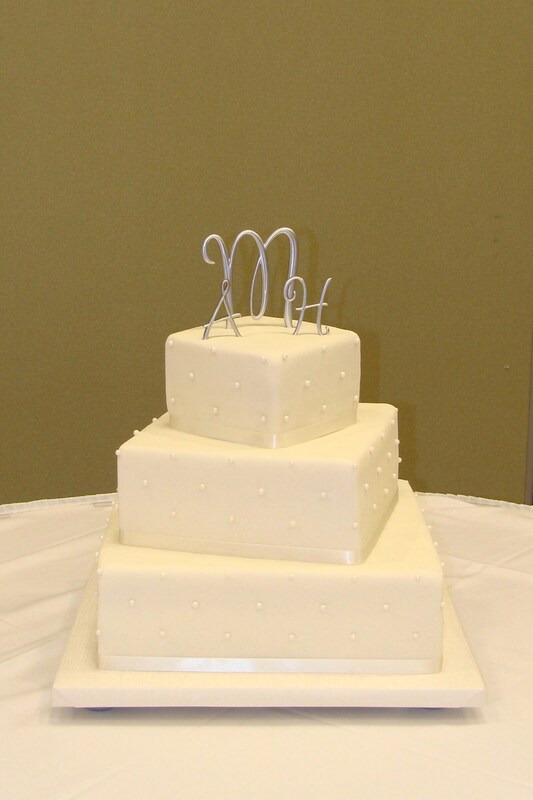 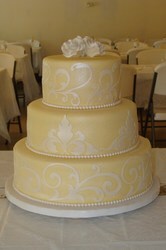 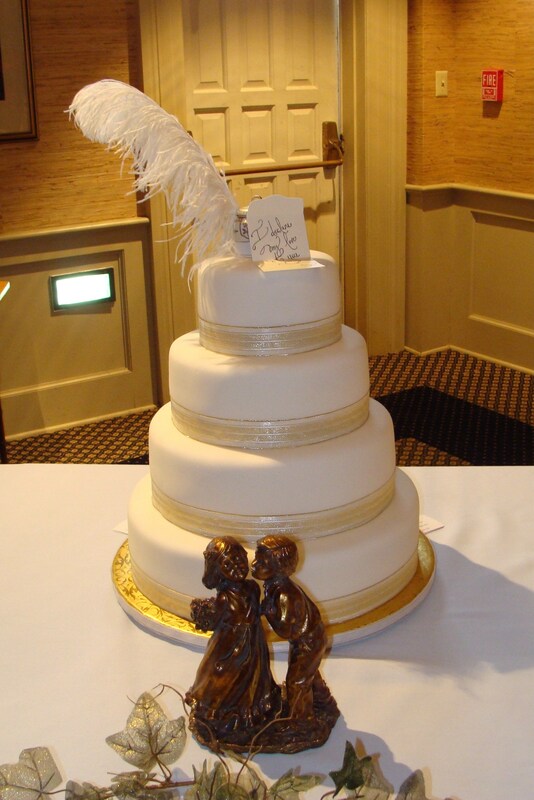 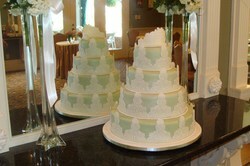 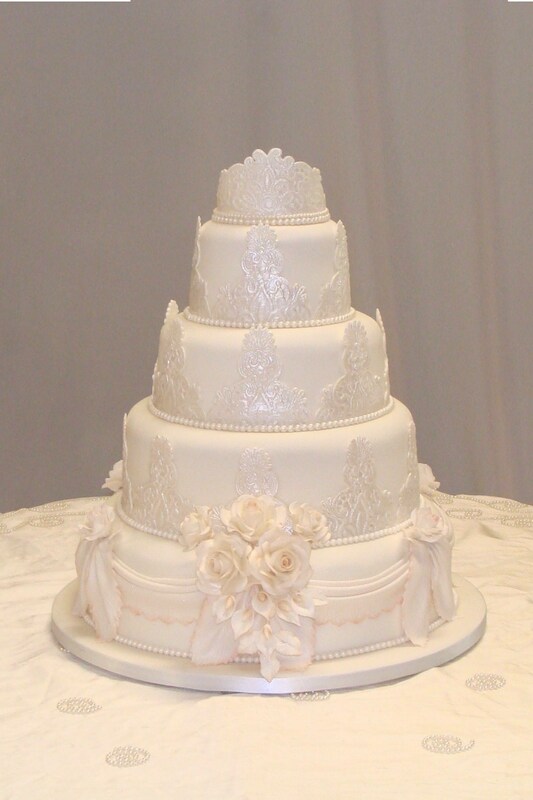 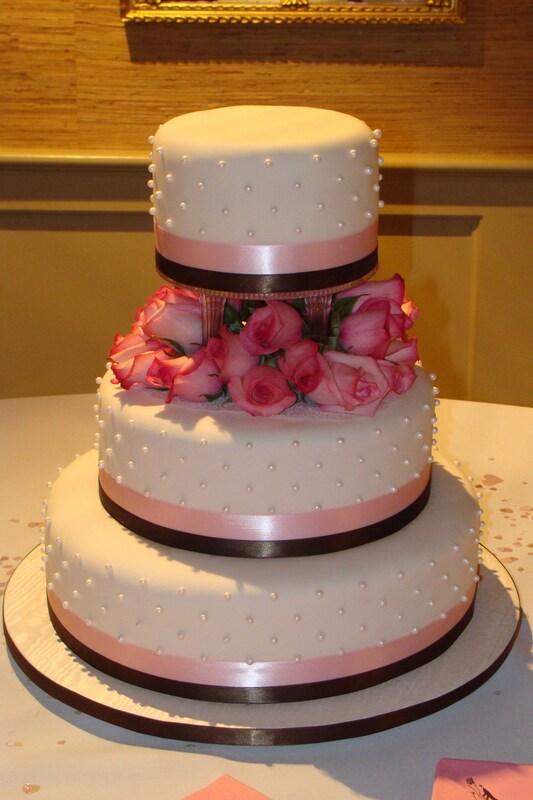 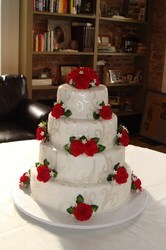 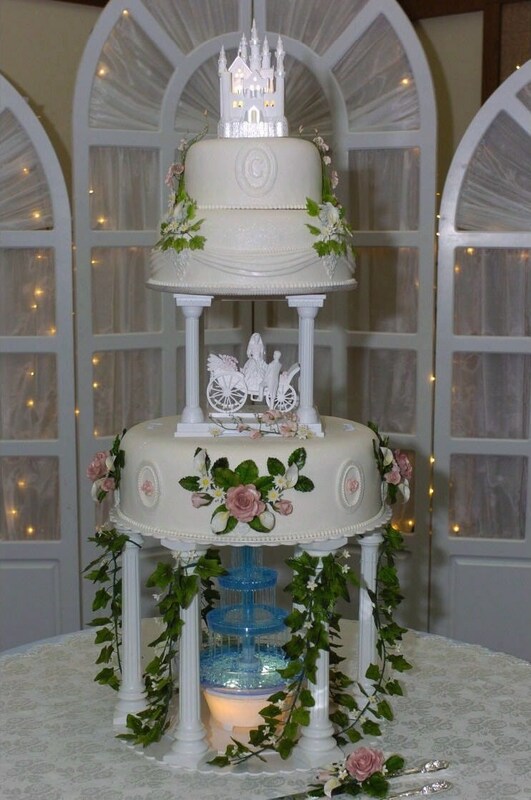 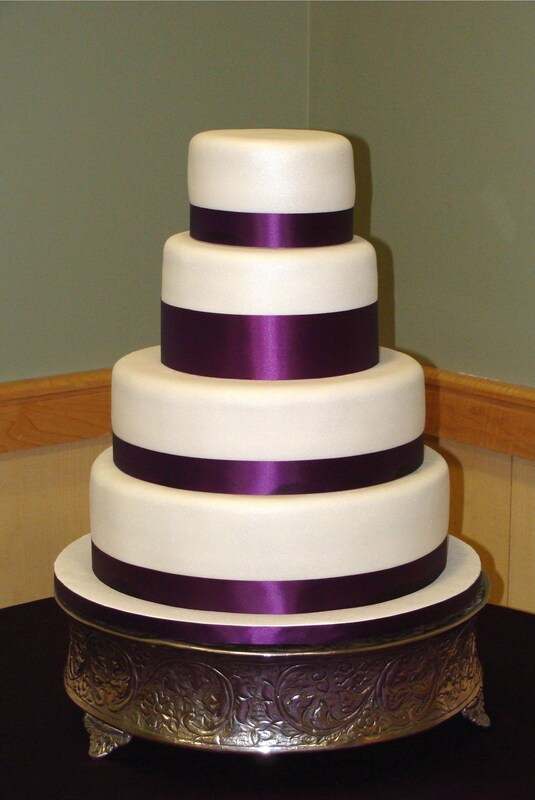 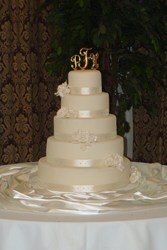 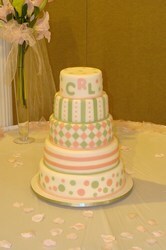 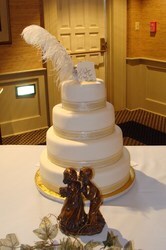 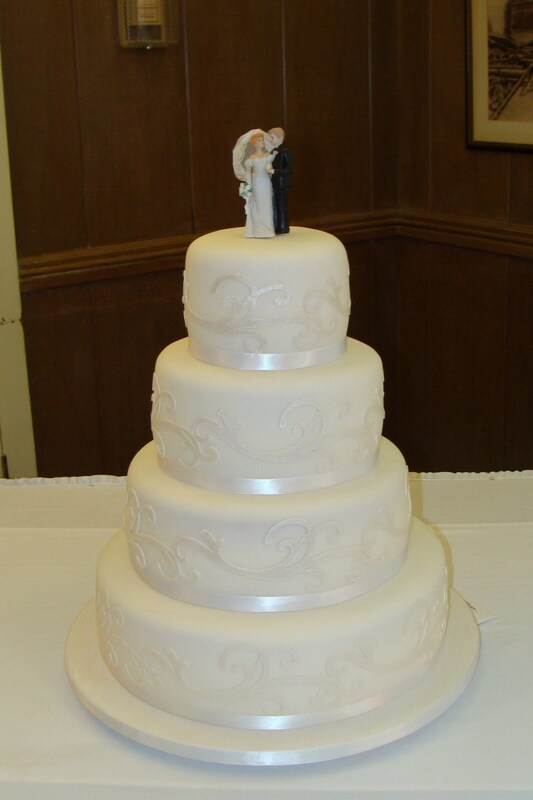 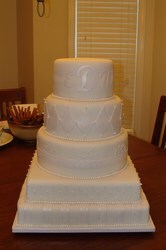 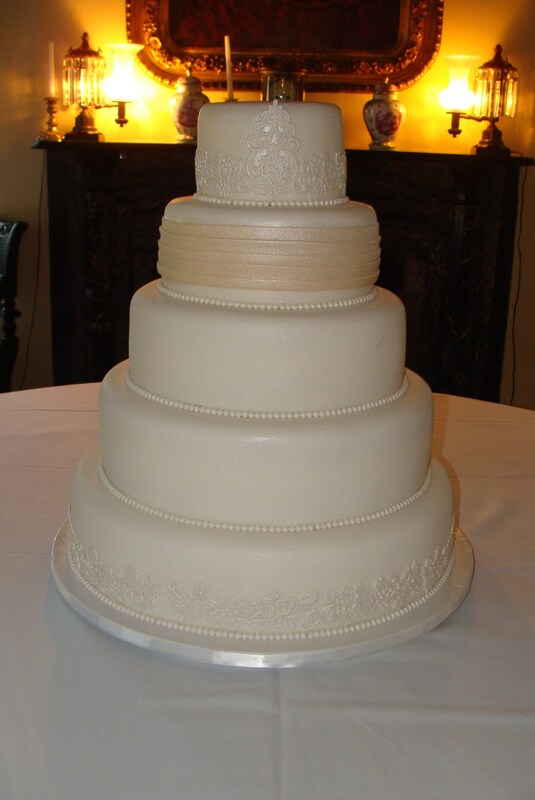 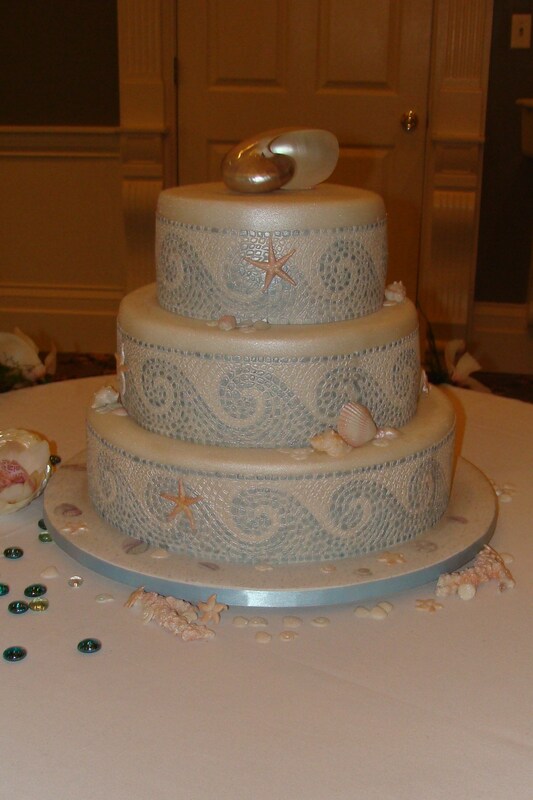 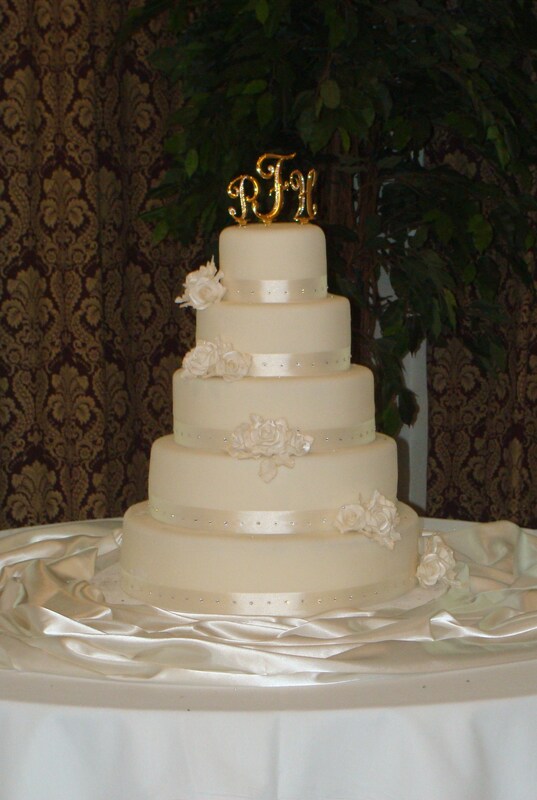 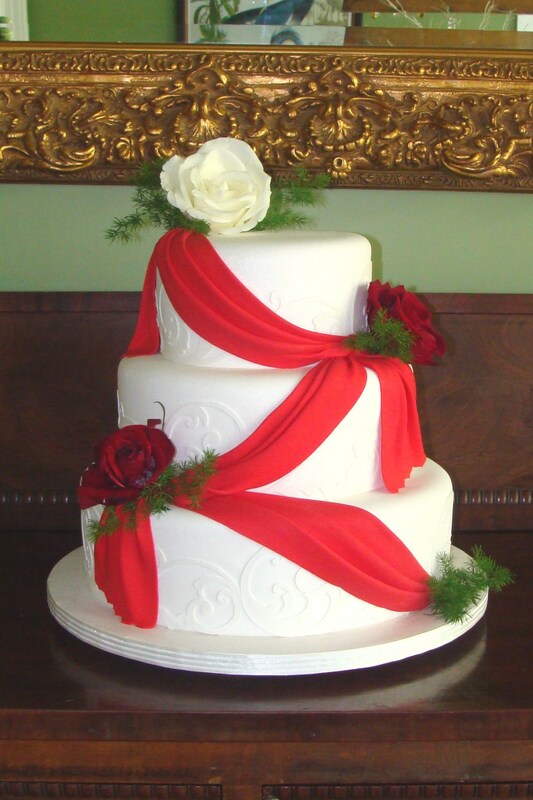 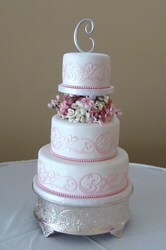 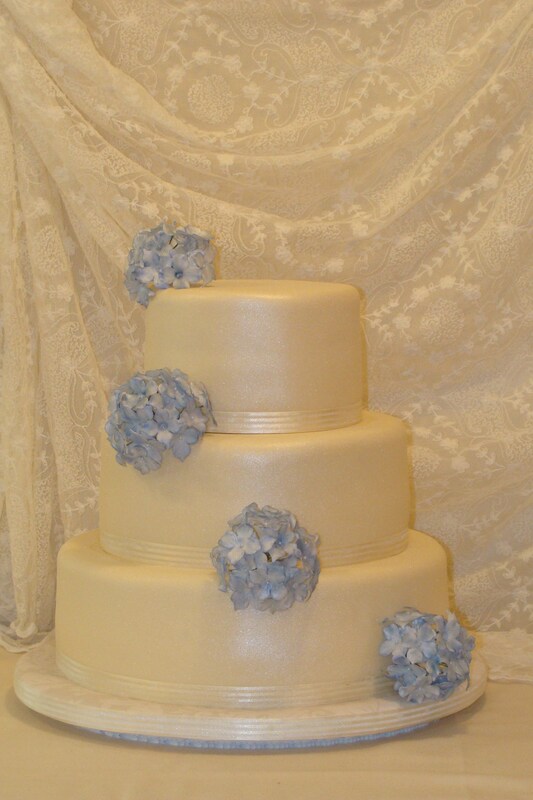 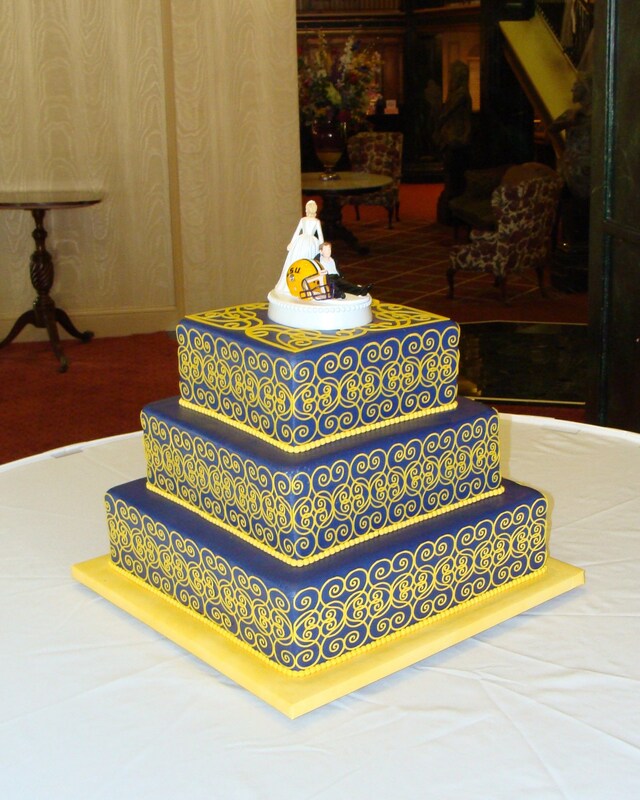 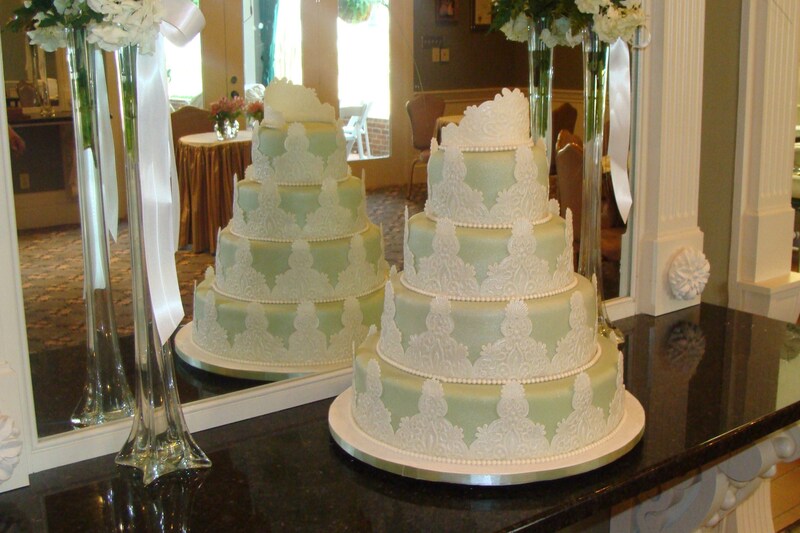 From fun and whimsical to elegant or contemporary, each cake is designed to complement the theme of the wedding. 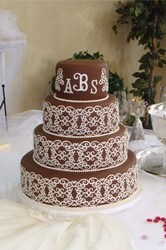 I can make monograms in any font and style to add a personal touch.